With only the V10 engine from the first-gen R8 carried over to the new model, we couldn’t help but wonder if there’d ever be a model to replace the old N/A V8. There was talk of Audi’s 4.0-litre twin-turbo V8 making an appearance, but apparently cooling it in a mid-mounted position was an issue, leaving speculation to focus on a twin-turbo V6. 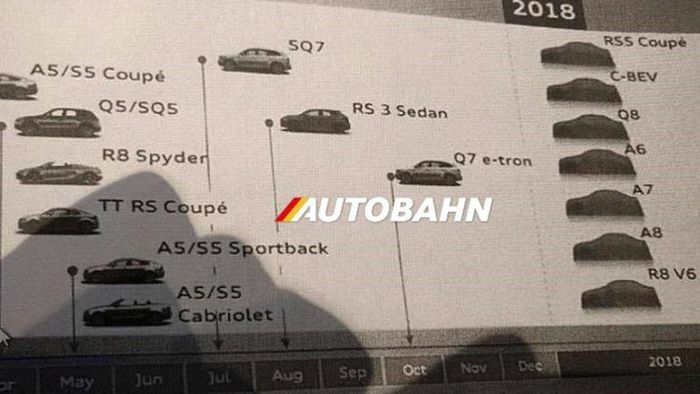 And it seems the V6 option is almost certainly going to happen, but not until 2018, judging by this product schedule leaked by Autobahn. 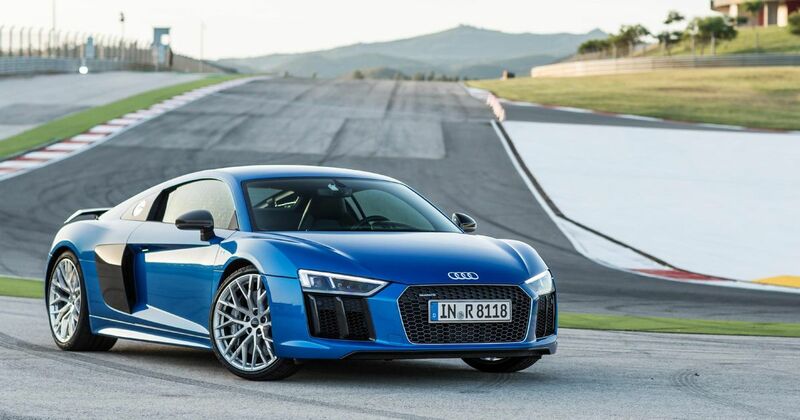 The schedule merely states ‘R8 V6’, but we can’t imagine it being anything other than the twin-turbo unit. It’ll most likely be the same unit Audi will fit to the next RS4, which recent reports suggested would be good for as much as 480bhp. The reason for an entry-level V6 model? It’s all about the Chinese market, where demand for fancy cars with smaller engines is high. 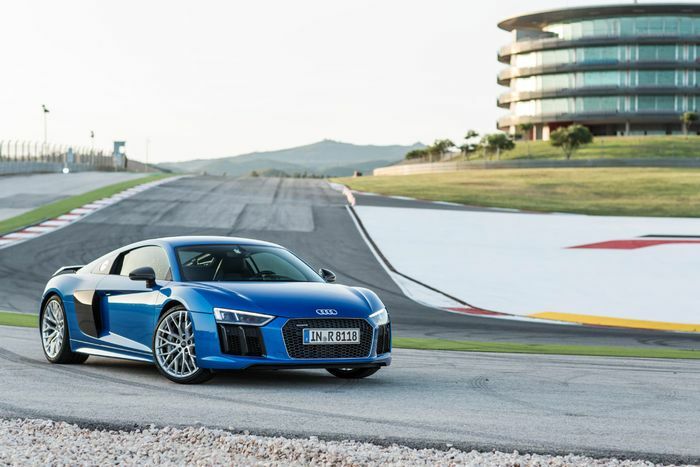 Other interesting bits of fast Audi news seen on the schedule include the TT RS - which will arrive in April 2017 along with the R8 Spyder - an RS3 saloon appearing in August the same year, and an RS5 arriving at the same time as the V6 R8.